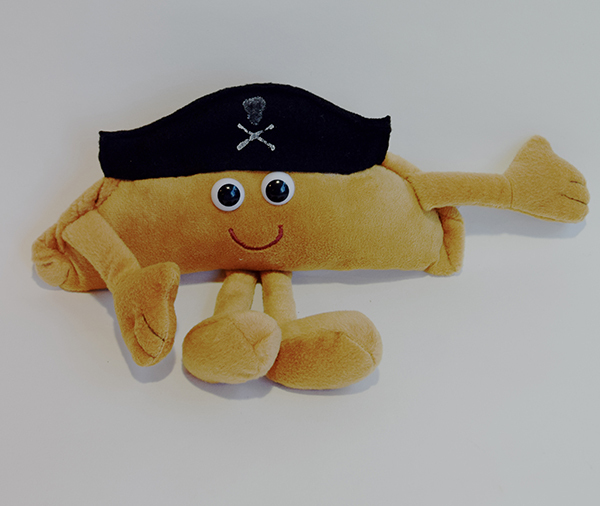 Our Pirate Pasty Peep stands 7″ high and is made from a soft velveteen fabric with child friendly eyes. His Pirate hat is hand made from soft felt with a hand stamped skull and crossbones in white. Essential crew member for any Pirate Ship with his very cheeky grin! Conforms to BS5665EN71 Toys (Safety) Regulations 1989.